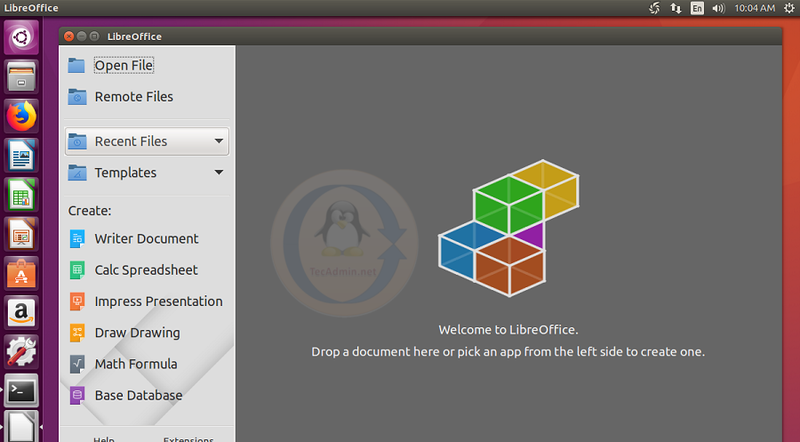 LibreOffice 6 has been released and available in the official backports PPA for the installation on Ubuntu systems. It is a free office suite application with many enhancement over previous versions. It has included lots of useful features, which becomes office management very easy. It is the most powerful free & open source office suite specifically for Linux desktop users. This article will help you to install LibreOffice 6.0 on Ubuntu 18.04 LTS, 16.04 LTS, and 14.04 LTS systems. After completing installation verify the installed version of LibreOffice. In place of below command, you can use GUI access to check the version. To completely remove LibreOffice from your system, use the following command. It will remove LibreOffice and all the associated data with this it from your Ubuntu system.